Are you getting closer to your goal weight or have you given yourself a bit of a treat!? 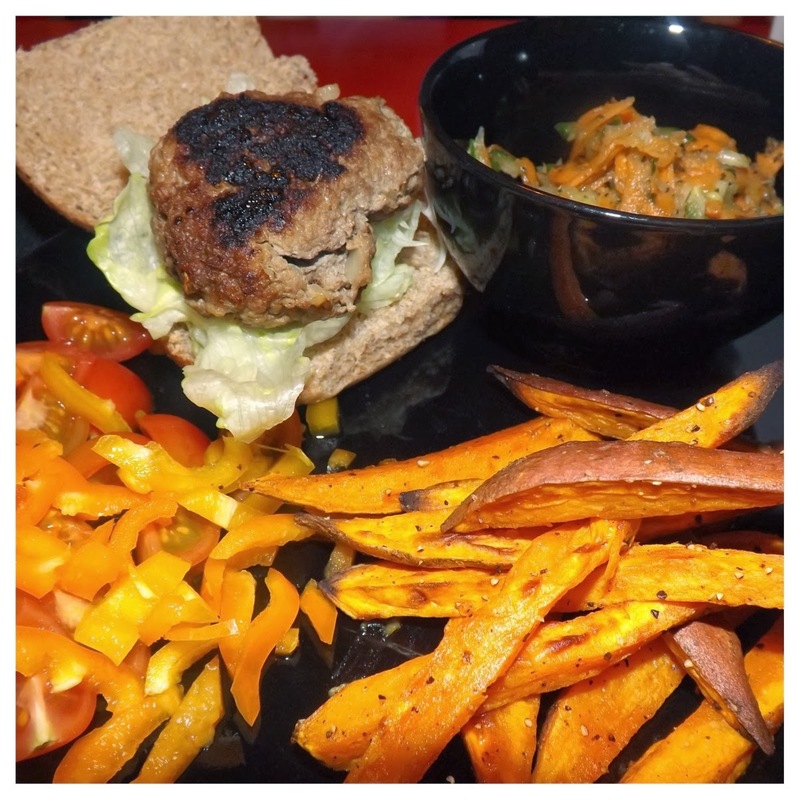 Do you need a simple recipe that is still on plan but feels like you're being a bit naughty? 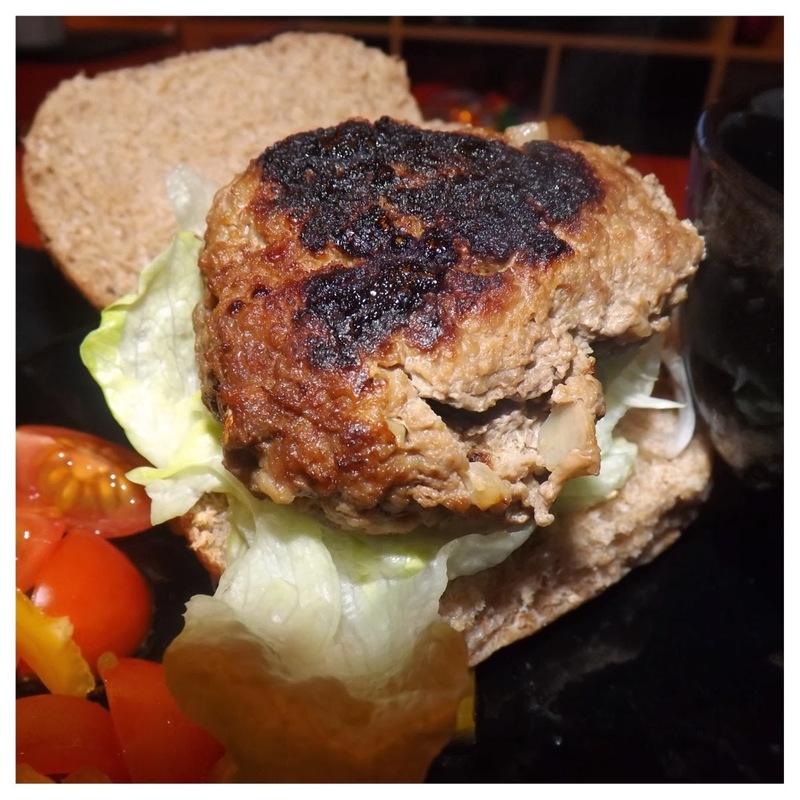 What you’ll need: Burgers 500g Lamb Mince (the best stuff you can find as it’s lower in fat) 1/2 onion very finely chopped 1 tbsp Cumin 1 tbsp Ginger (powdered or nail sized piece chopped) Salt & Pepper to taste 1 tbsp Garlic (or 1 clove chopped) Wholemeal buns (optional / HEx B) Chips Sweet potato (1 will give enough chips for 1 person) Few sprays of Fry Light Salt & Pepper to taste 1 tbsp Paprika (optional) 'Slaw 1 carrot grated 1/2 onion grated 1/4 (about 3 inch) cucumber grated (only the outside as the middle is too watery) 2 tbsp Mint Sauce (syns) or Fresh mint chopped Salt & Pepper to taste (I used a food processor to mix everything as it gives a less meaty looking texture and more of a dough but you can use a normal mixing bowl and your hands) Combine mince, onion, cumin, ginger, garlic together and mix until well blended. Add salt and pepper as you feel the need. Roll into balls and flatten into patties and cover in cling film. Leave in the fridge until ready to cook. Cook in a hot frying pan with until golden brown. Serve in or out of bun. 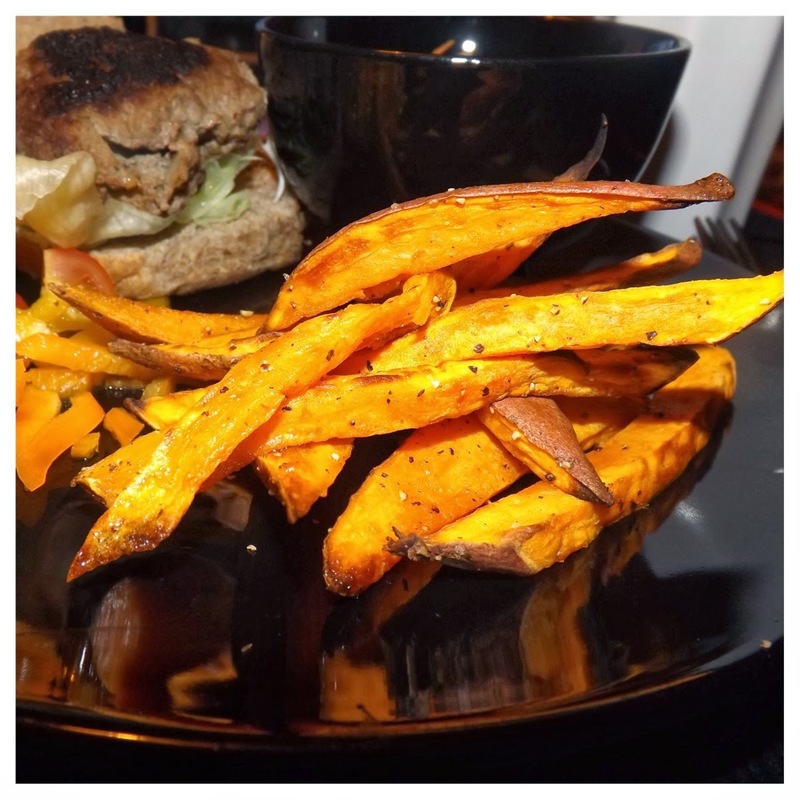 Chips: Wash the Sweet potato thoroughly. Leave skin on and slice into thin chips (cut in half, then half again and then into chips from 1/4’s). Put into a bowl or plate, add oil, salt & pepper and paprika and mix so that they’re evenly coated. Place on a foiled/greaseproof tray for 20 minutes on 200 degrees, turning half way through. 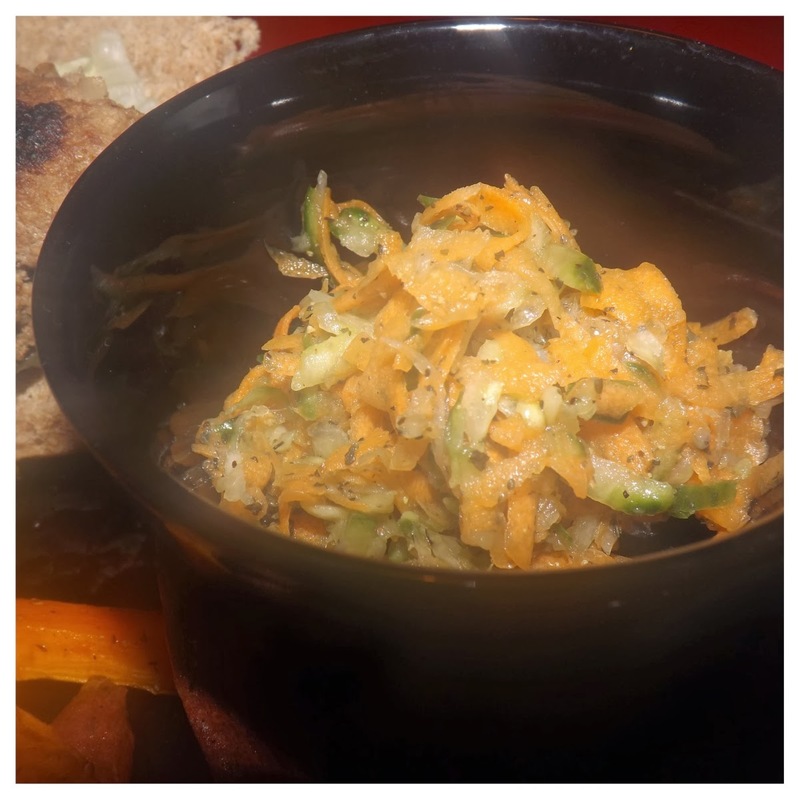 Coleslaw: (Using a food processor or grater) Grate carrot, onion and cucumber onto a board or plate, leave for 10 minutes and sprinkle salt over each - this will absorb the water so it doesn’t become watery. Put grated ingredients into a bowl and squeeze out any excess water using fingers. Add mint sauce and salt & pepper and mix well. Serve on burgers or as a side salad!